At least, not until I lose the biggest influence in my life. Now I’m spiraling out of control, so much so I spent the night after the funeral drowning my sorrows. First in the bottom of a bottle…then in the body of a blonde bombshell who looked at me like I could make all her carnal dreams come true. I don’t remember her name or what she looked like, but now she’s consuming my every thought. It doesn’t help that my brother selected a brand new intern with a banging body and blonde hair that makes me think of her to be my assistant for the next six weeks. And my nights dreaming about the girl who got away. Everything changes when the secret she’s been hiding comes out……and I realize I made a huge mistake. J.L. Beck and Stacey Lewis are two best selling romance authors. They share an equal love for writing, and reading, and are introverts at heart. They love alpha males, and romance that makes you swoon. When you read a book by them you’re guranteed and HEA ending. 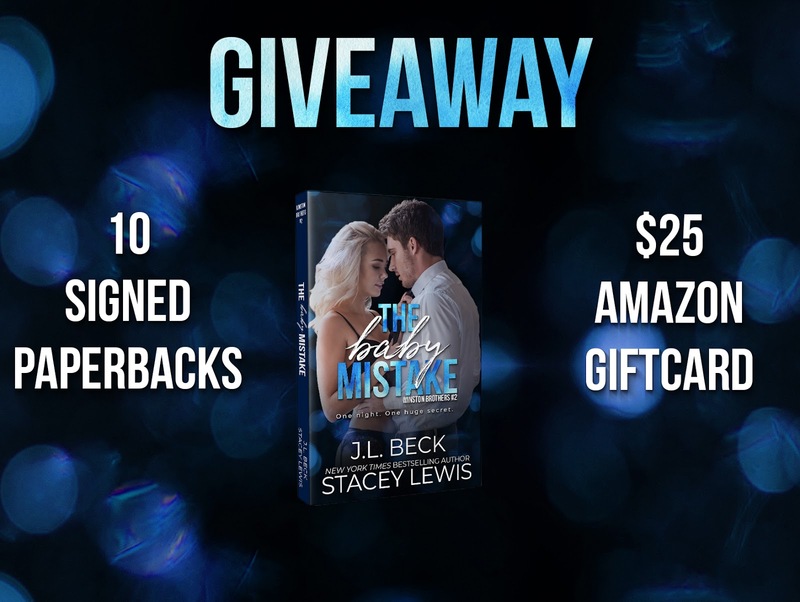 Posted on 10/05/2018, in Authors & Books, Blitz, Blurb, Buy Links, Giveaway, More in the Series, New Releases, Review to Come, Teaser and tagged #StaceyLewis, @AuthorJLBeck, @bemybboyfriend. Bookmark the permalink. Leave a comment.